Let’s face it, if you want to blow the doors off the car sitting next to you, you’re going to need some pretty deep pockets to do it. Fun, like anything else in this world, costs money. That doesn’t mean that there aren’t some very peppy cars out there that will still get your pulse pounding for under $20,000. Vehicle manufacturers know that there’s a little speed demon sitting on all our shoulders, and some just don’t have the means to feed him as much as he craves. Thankfully though, we’ve checked all the information at Car and Driver, Consumer Reports, Edmunds, and Motor Trend, to find the fastest cars under $20K, so that you can still feed that pesky demon a morsel from time to time. 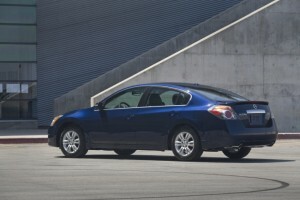 The Altima is on the small side for a sedan. That could be the biggest reason that the 3.5L V6 has such an effect on this little racer. It pumps out 270 horses and 258 lb-ft. of torque. With a manual transmission, the coupe, which is even smaller than the sedan, will hit 60 mph in a rather quick 6.5 seconds. That’s about as good as you’re going to see for this price range. On top of the speed, the Altima is made with high-quality inner materials and sportier seats in the coupe, which add a little more support than the sedan’s flat chairs. The sport-tuned suspension and precise steering make this a quality sports sedan. Yes, it’s small; but, once you get past that fact, it’s actually pretty fun to drive. The turbocharged version of the 1.6L base engine will have this little go-kart at 60 mph in just 6.8 seconds. That drops down to 6.2 seconds for the hatchback and 6.6 seconds for the convertible. And it will still give an estimated fuel efficiency of 27/36 mpg (city/highway). On top of the rapid acceleration, the MINI offers quick, responsive handling and a precise shifter with a compliant clutch if you choose the manual transmission. The ride can be somewhat stiff and road noise is an issue, but that may only add to the racing feel if you’re looking for a little speed. The Forte isn’t going to rip the hinges off the doors with its speed, but if you choose the larger 4-cylinder engine (2.4L) then you’ll get acceleration that will take you to 60 mph in just a shade over seven seconds. Not bad considering the average for its class is closer to eight and nine seconds. You’ll definitely need to stick with the SX model as the LX and EX don’t have the sport-tuned suspension and you can definitely feel the difference in body roll and handling. This is also one of the few choices where you’ll want to stick with the automatic transmission. It possesses taller gearing for better acceleration while the manual transmission is rather loose and sluggish. Don’t get too excited, this isn’t the Lancer Evolution; but it is its very close sister. The Lancer GTS comes equipped with a 2.4L 4-cylinder that cranks out 168 horsepower and 167 lb-ft. of torque. That’ll bring you up to 60 mph in a very respectable 7.7 seconds, quick for this class. Fuel economy is on the subpar side for a small car though at 21/28 mpg (city/highway). 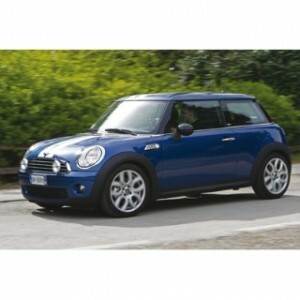 Still, its sharp handling and sport-tuned suspension make for a very effective driving experience. If you want to spend a little more you can get the Ralliart model which is really built for thrills, much like the Lancer Evolution. But staying under the $20K range will get you the GTS and that should do nicely for anyone looking to flip the speed demon a morsel from time to time.